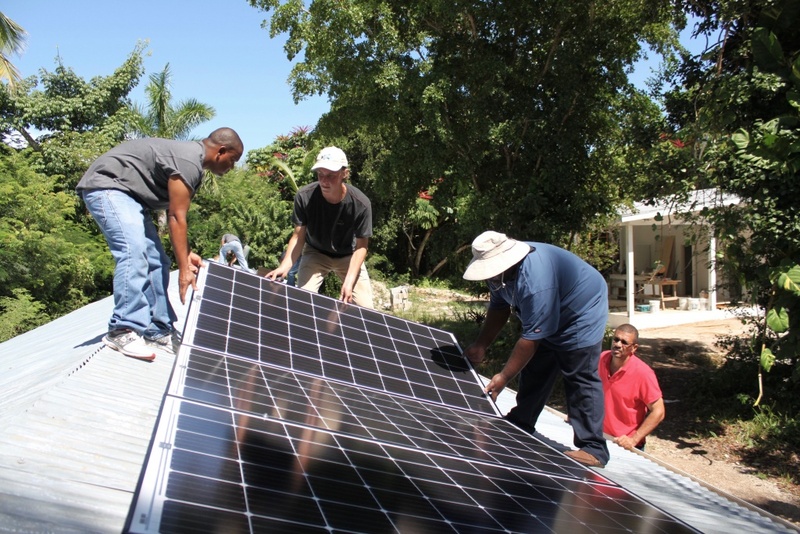 Solar course participants complete an installation on CTI’s property. After remaining largely dormant for decades, The Bahamas energy sector is currently undergoing massive transformation following the publication of The Bahamas National Energy Policy 2013-2033, as well as the Electricity Act of 2015. It is within the pages of these two seminal publications that the framework for renewable energy opportunities in New Providence, and on all the Family Islands, has been put into record. In The Bahamas, electricity is distributed among 16 isolated grids, and power generators (BPL) could benefit from alternative sources of distributed energy production — mainly in the form of solar-electric (photovoltaic); a well-vetted, mature and resilient technology that’s being integrated at a record pace in global markets. On Eleuthera, as well as on all of the Bahamian Islands, the opportunities for energy independence are becoming a reality. The Bahamas is in a region of the world that boasts world-class solar resources. The average daily solar insolation, in units of kWh/m2 per day, is colloquially known as “peak sun hours”. On Nassau, and all of the Family Islands, we receive 5.8 hours of peak sun, obliging residential and commercial ratepayers to consider solar as a viable option. Considering this, The Island School is well placed to have a leadership role in the development and deployment of new renewable energy distributed generation on Eleuthera. In 2017 and 2018, The Island School successfully designed, permitted, procured and installed, both commercial and residential solar arrays, under the current Small Scale Renewable Generation (SSRG) program. These successes are proof that the future of solar energy appears bright on Eleuthera, and in an effort to ensure these successes continue The Island School partnered with The One Eleuthera Foundation’s Center For Training and Innovation (CTI) in Rock Sound, to deliver the first, solar installer training certification program in the country. This was made possible through our continued working relationship with CTI, and through the generous support of the Global Environment Facility (GEF), whom CTI successfully leveraged grant monies to support this training program. One of our values as an organization is to center our actions on our local and global community and environment. Which is why we are excited to announce the successful completion of the first solar energy certification course. Seven participants completed the week-long course in early September. The Island School is currently the only approved Bahamian solar engineering, procurement and construction firm on Eleuthera, and proud of it! The certification program will benefit the participants as they will be certified to design and install grid-tied, residential and commercial solar arrays, through a practical, and skills-based NAECOB approved curriculum. The sun seems to always be shining in the Bahamas and it comes as no surprise that the solar energy market is growing here. The program grows the number of certified solar installers on the island. At The Island School, we recognize the importance of becoming energy independent. Solar array owners, allow homes and businesses, to become more resilient and adaptive to uncertainty in energy prices and a changing climate. On September 10, 2018, seven participants completed a practical week-long training program which certifies them in solar installation. Bryan Carroll, sustainability teacher at the Island School, who specializes in renewable energy instruction, designed the curriculum and administered the course at CTI’s facilities in Rock Sound, Eleuthera. The class, Introduction To Solar Electric Theory, Design, and Construction: A Practical Approach to Solar Installation in The Bahamas. During the first half of the week, the participants spent time in the classroom learning how to evaluate a potential solar site, the basics of solar design and site construction. Group photo on the final day of the certification program. At the end of the week, the participants completed the last part of the course which required them to apply the practical skills they learned in the classroom to a physical solar installation at CTI and pass a written exam. The CSD solar interns, Bryan, and the participants worked together to install a solar system on the roof of a cistern.The graduation ceremony was held on October 2nd on the CTI campus. Family and friends gathered to witness the graduates receive their certificates. To start the ceremony, a representative from CTI spoke about the success of the program and they hope the program will continue in the future. Bertram Rolle gave a testimonial detailing the experience and his gratitude for having participated. Bryan Carroll spoke last on how honored he felt to be a part of the first ever solar installation and design course in the Bahamas. The ceremony culminated with the receiving of the certificates. Everyone was incredibly enthusiastic throughout the training. One participant expressed how he appreciated learning about direct current electricity because his past knowledge corresponded with alternating current electricity. This training program sets the standard for solar installers throughout the country and these participants are now equipped to solicit solar energy work. The program should increase the adoption of solar energy through the islands as the solar workforce has effectively increased. The course was a great success for everyone involved. We are excited to build capacity for the course to allow its graduates to independently participate in the solar energy practice. The course allows The Island School to work towards our goal of implementing the systems that we use on campus to decrease our impact on the environment, to the wider Bahamian community. At The Island School, we are proud to continue our long tradition of demonstrating renewable energy on Eleuthera, a mission established at the school almost two decades ago. 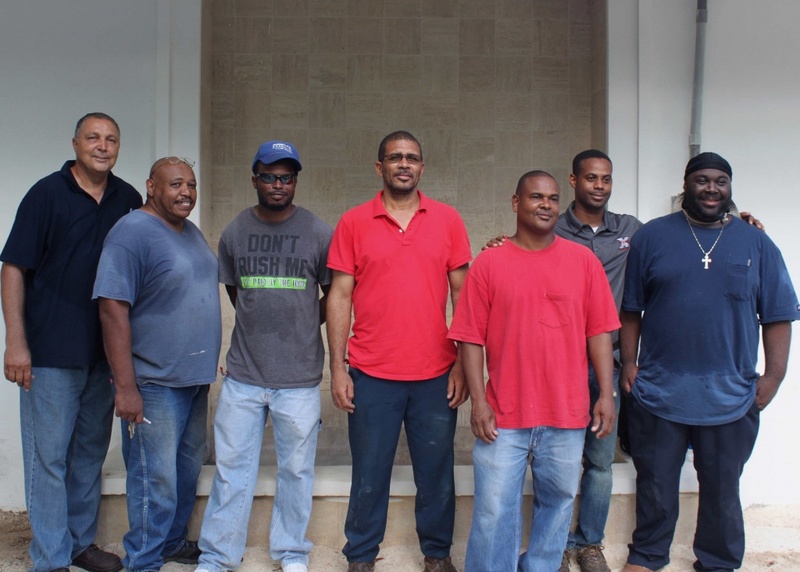 Whether certifying installers, consulting on solar projects in The Family Islands, or designing and integrating sustainable energy solutions on Eleuthera, our collective knowledge and experience in the Bahamian renewable energy space is unparalleled. For more information on our services, and upcoming projects, please do explore our website (www.csdbahamas.org/solar) or email at solar@islandschool.org.